PL6703 GF010208 LICENSED GAS FITTER ROCKINGHAM, Fremantle Gas Fitter Mandurah , Yunderup Gas Fitter Pinjarra and out to Baldivis Gas Fitter Karnup. PL6703 GF010208 LICENSED GASFITTER Fremantle to Mandurah / Yunderup / Pinjarra and out to Baldivis / Karnup. 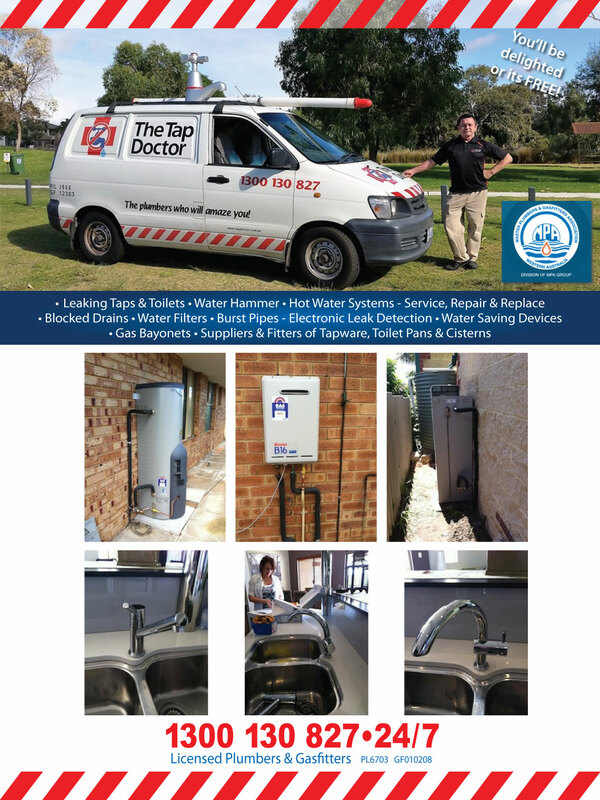 ~ Leaking Taps & Toilets ~ Water Hammer ~ Blocked Drains ~ Hot Water Systems - Service, Repair & Replace ~ Water Filters ~ Burst Pipes - Electronic Leak Detection ~ Water Saving Devices ~ Gas Bayonets ~ Suppliers & Fitters of Tapware, Toilet Pans & Cisterns. Baldivis Gas Fitting Mandurah - Pinjarra Gas Fitting Karnup. Rockingham Tapware Mandurah.